I’ve had a red herringbone, now here’s a blue one. I’ve only got green to go and I’m sure that will turn up one of these days. The difficulty, generally, in acquiring the herringbone colours is price. These are probably the second most popular Conway Stewart patterns, giving way only to Cracked Ice, so they are much sought after. The ironic thing about it is that Conway Stewart placed no especial value in these patterns that are so esteemed now. The herringbone didn’t cost any more than any of the other patterns or even the black example. They didn’t care enough to give the pattern a name. It was probably Jonathan Donahaye that christened the pattern. The only other example of a herringbone pattern that I can think of is the little-known Rubinette pen that I wrote about some time ago. The 93 isn’t especially common. It appears only as black and the three herringbone colours, together with bandless examples in green and blue herringbone. 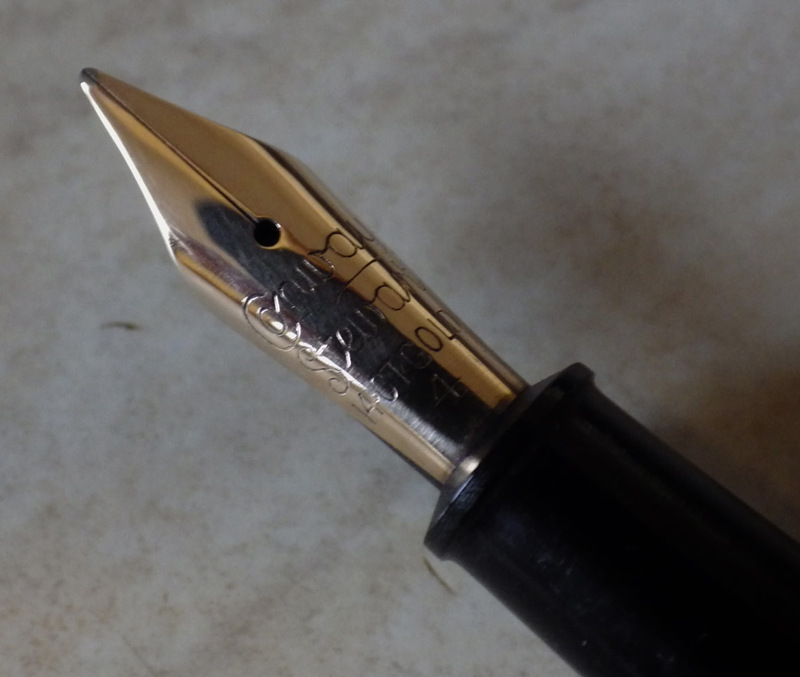 The production run of this pen was particularly short, running from about 1961 to 1963, which goes some way towards explaining their present scarcity. It’s one of Conway Stewart’s “quality” pens, as evidenced by the narrow/medium/narrow cap rings. I have a green herringbone for sale if you are still interested ?